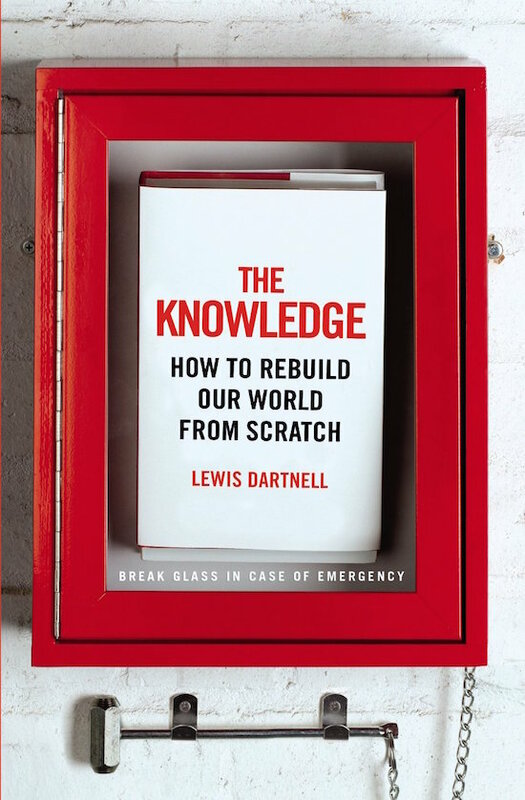 This Tuesday in San Francisco Long Now welcomes British astrobiologist Lewis Dartnell to our Conversations at The Interval series to discuss his latest book The Knowledge. 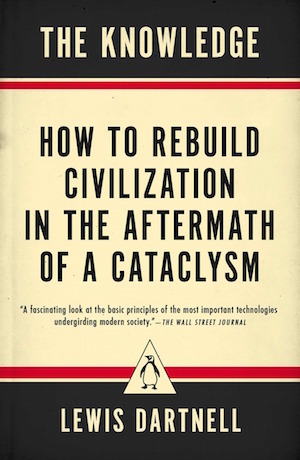 This book is a guide to rebuilding key features of civilization like agriculture, communication, transportation and medicine in the aftermath of a global catastrophe. Far from a doomsday prediction, Dartnell’s book reveals the potential resiliency of humanity if we approach challenges with an awareness of the natural sciences and understanding of how contemporary technology works. The Knowledge brings a lot of this fundamentally useful information into one place; and it’s bibliography points to deeper resources for a wide range of subjects. Lewis has previously shared his expertise with Long Now for our Manual for Civilization project. The videos below show two examples of tips you’ll find in The Knowledge. The first draws on insights into how our world works today (manufacturing) to reveal an ideal solution. There are many ways to open a can, but this is probably the best. The second is more sophisticated: how to use a scavenged battery to drive electrolysis and isolate useful elements like oxygen and chlorine. That requires a better understanding of chemistry than you will get studying TV plotlines, but it’s mostly high school level science. And it hints that the best solutions actually create more tools to help us more rapidly recover. Often Dartnell’s advice relies on a combination of scientific knowledge and scavenged resources. Both industrial detritus (a golf cart battery) and common household items (steel wool) are useful in resuscitating features of modern society. This kind of ingenuity is familiar in pop culture: television shows in particular from MacGyver to Breaking Bad feature protagonists whose expertise with the periodic table and access to a junkyard or various consumer packaged goods help save the day time after time. It’s the same principle: when the stakes are high we are capable of ingenuity, even if we aren’t geniuses.